ECP (English for Culinary Purposes)! One thing I love about teaching is that we can change the way we teach whenever we feel the need to and we can always get new ideas, which we can then implement in our classes! I love teaching specialised English, or ESP (English for Specific Purposes) – for instance, English for Accounting, English for Hair Salons, Aviation English, anything! I also learn along with the students. On to our story now: for the past few months I have been teaching a wonderful lady I was very fortunate to meet about a month after I came to Switzerland 6 years ago – I started teaching her son (who is still my student and is a brilliant young man). She really supported me in the beginning and still does – and now I am very lucky to teach her! I love her enthusiasm for learning. 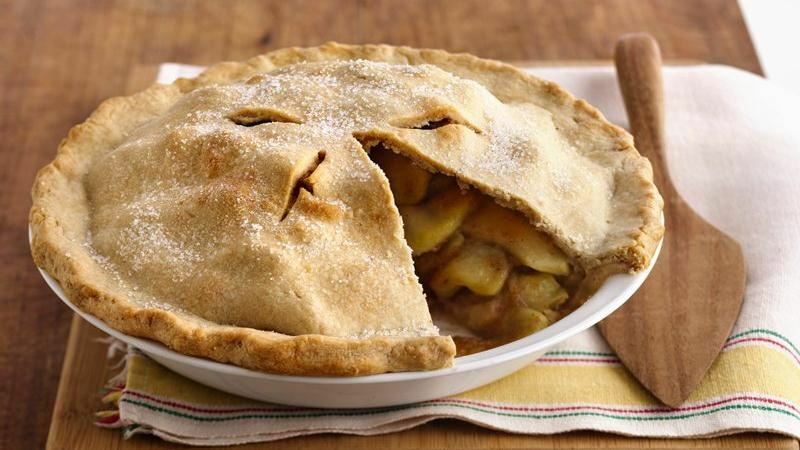 A couple of weeks ago, during our lesson, we were talking about the food from our countries and in general what we like to cook – when we reached the topic of Thanksgiving, she asked me what some typical dishes are for that day and I mentioned my apple pie. Now, my apple pie is a funny story, because my family loves it, but I am the only one who cannot eat – I am allergic to apples! However, I still make it and everyone enjoys it. Anyway, a week later, my student came back and asked whether I could teach her how to make apple pie. As an exception, we would have the lesson at her house and we would cook together! She was so kind as to drive me to and from her house back to my school, and she bought all the ingredients as soon as I gave her the recipe. So the week after we were at her lovely home, baking! We learned so much new vocabulary together and she practised her speaking skills in a different environment from the classroom. She really enjoyed it and so did I! She was very happy to tell me about the cuisine in her country, experiences she has had in other countries…all in English! I really loved this experience, as it was something completely new for me and I am happy we did it! It actually gave me ideas for other lessons as well…let’s see how they go!